UK immigration laws provide opportunities for applicants to settle here if they have the suitable skills or financial capital. 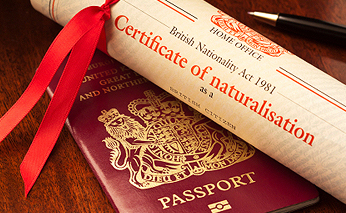 Much of our work is about offering bespoke immigration solutions to our clients. Our approach towards our clients is based on integrity, professionalism, clarity and frankness. We do not beat around the bush with our clients in respect of their objectives, nor make false promises. Whilst saving money on solicitor’s fee is important, most of our clients agree that it is also vital to make the correct visa application at the outset so that subsequent complication, and therefore, increased cost, time and unnecessary stress can be avoided. If you would like to set up a business in the UK whether as a sole trader, partnership or a company then you will need a Tier 1 Entrepreneur Visa. Unlike visit visas the Entrepreneur category leads to Indefinite Leave to Remain in the UK which eventually leads to British Nationality. You can come to the UK with a Tier 1 (Entrepreneur) visa for a maximum of 3 years and 4 months. You can apply to extend this visa for another 2 years if you’re already in this category and 3 years if you’re switching to it from another category. If you would like to make an Entry Clearance Application as an Entrepreneur or switch from a different category then we will be able to help you in every step of the way. Our Immigration Solicitors specialise in helping individuals obtain an Entrepreneur visa. Our extensive experience in Immigration would ensure that we provide an efficient and quality service.